The water temperature is 79 degrees. Water level is up. Next Stock of Catfish will be September 14th, 2018, 400 pounds. Catfish: High Action: Laying in the shallows getting sun, many happy anglers catching these cats on anchovies, chicken liver and dough baits, really any super smelly bait. Striper: Slow Action: Early morning is best using cut baits over by the inlet/dam. 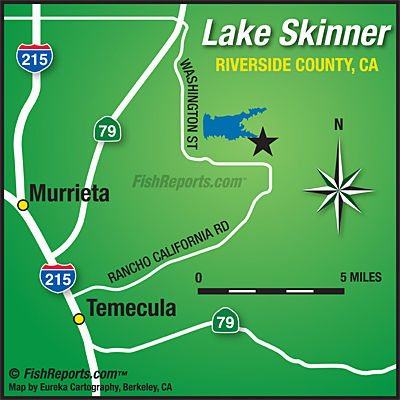 Blue Gill: Medium Action: Blue Gill have been reported this past week over by Ramp 1 using nightcrawlers and meal worms.. Trout: No Action until first stocking which should be in early November. Large Mouth Bass: Slow Action: Large Mouth have been biting on rattle traps, plastic worms and lures, over in the East area. Last Stock of Catfish is September 28th 2018.